Jewelers measure gold by karats. 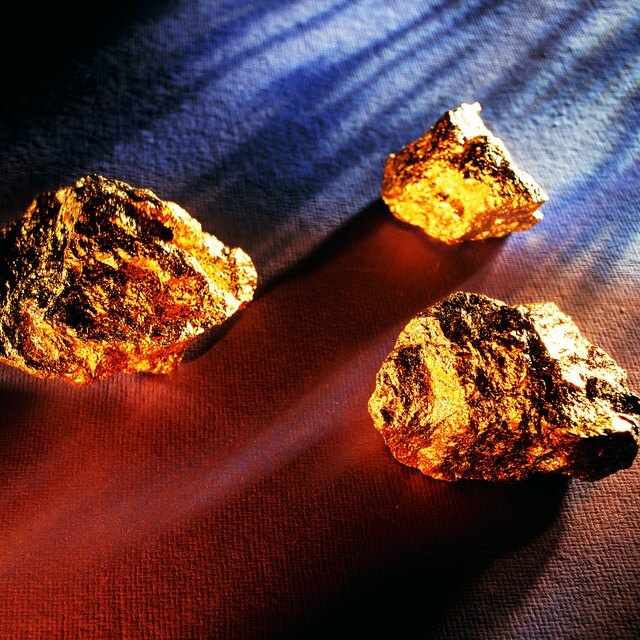 Pure gold is 24 karats and contains 99 percent to 99.9 percent pure gold. Most gold jewelry is an alloy, or mix, of gold with one or more metals. The higher the karat number, the more gold a piece contains. Mixing gold with other metals makes the piece stronger but lessens its value. Examine the gold ring with a jeweler’s loupe or magnifying glass for any markings. Look for a numbered stamp on the inside of the ring. 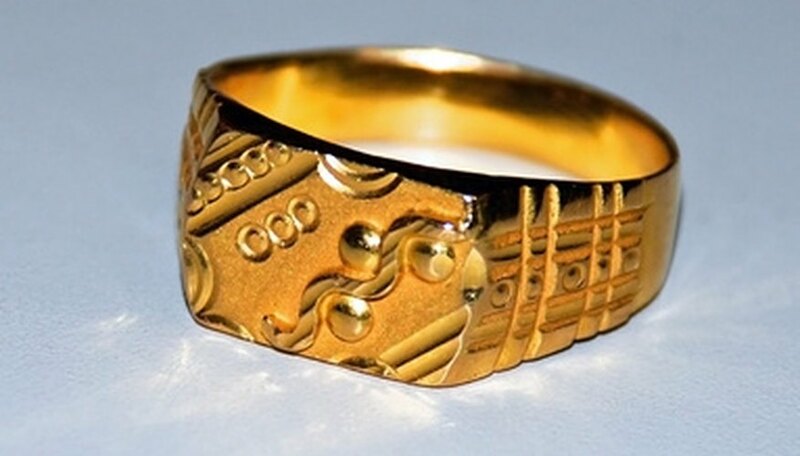 If the jewelry is stamped with three digits, such as 417 in the case of a 10-karat gold ring, put a decimal point after the second number to find out the percentage of gold in the piece. In this case, the gold ring is 41.7 percent gold. To put it another way, it is 10/24 pure gold or 10 karat. Mighty Bargain Hunter: How Much is that Gold Jewelry Worth? Katebo. "How Much Gold Is in a 10 Karat Ring?" Sciencing, https://sciencing.com/much-gold-10-karat-ring-6866358.html. 24 April 2017.